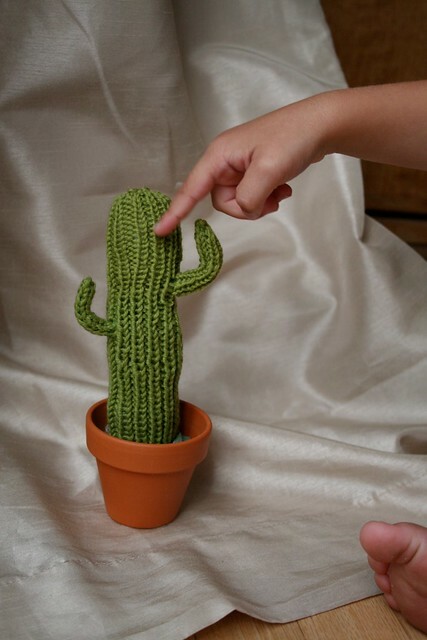 People really showed us the love for the knit pin cushion cactus. 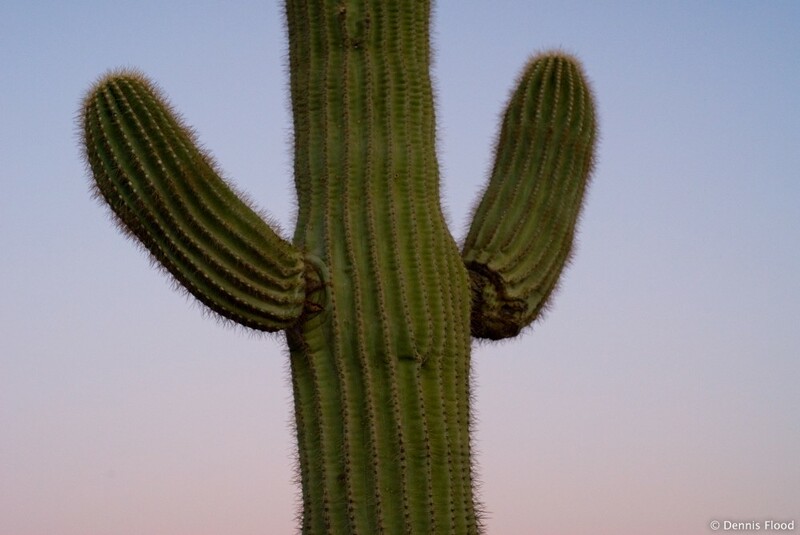 So I thought I would give you the next in the series, The Saguaro Cactus. This pattern is a little bit more in depth than the last one. But, if you have knit socks, you have enough skill to tackle this. Needles: 4 double pointed needles appropriate size to get gauge. Shown here knit using size 3 double pointed needles. Cast on 24 stitches. Divide onto 3 needles. Join in the round, being careful not to twist your stitches. Work in a rib pattern, knit 1 purl 1 for 26 rounds. Work these stitches for 10 rows. Bind off all stitches. Cut the yarn off with just a short tail (3 inches is enough.) Thread it into a tapestry needle, and pull it down into the middle of the branch you have just created. 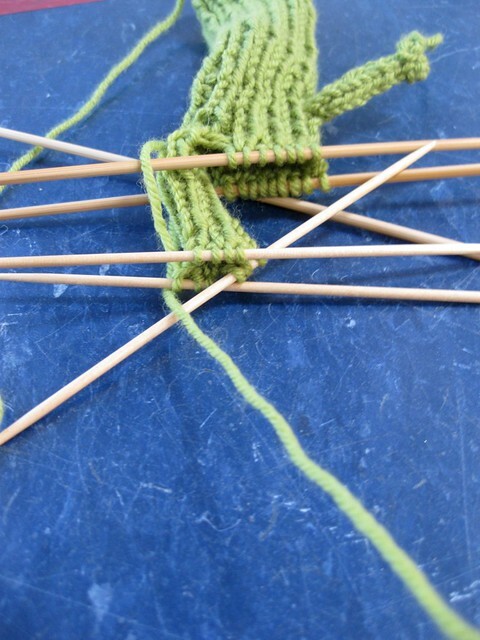 Reattach the yarn at the point 3 stitches before the branch, and knit (in pattern) 3 stitches. Then, above where the branch is attached, you will pick up 2 stitches (in pattern) so that there is not a hole in the trunk. Continue to knit in the K1 P1 pattern for another 6 rounds. Time to start another branch. Work in pattern until you are approximately 1/2 way around from the other branch. Knit three stitches into the next 3 stitches, and then cast on one more stitch. (10 stitches). Divide these 10 stitches onto 3 needles. (Here is where I used the extra set of sock DP needles.) Work these 10 stitches in the round for 16 rows. In the next row K2tog all the way around. (5 st left) Break the yarn, leaving about 6 inches, and thread it through a tapestry needle. 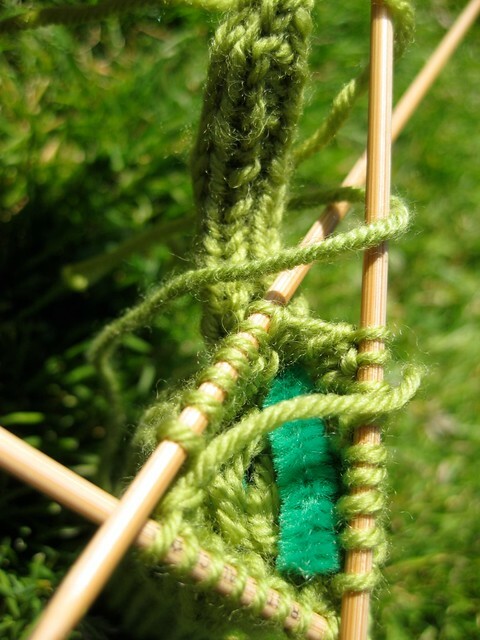 Run the yarn through the loops of the 5 stitches, and pull them so cinch them shut at the top. Stick the end down into the branch, in the middle of the stitches. Here you can see the green pipe cleaner is not at all the same color as the yarn. But it does not show through, so it’s okay. Use fiber fill, and stuff the trunk a little as you go. I tried to really even out the ‘balls’ so that it did not look lumpy. Work 18 rows past the branch. And then K2 tog for two rounds. (6 stitches left) Cut the yarn, leaving about 6-10 inches. Use the tapestry needle, and weave the ends through. The top should close making a nice circle. 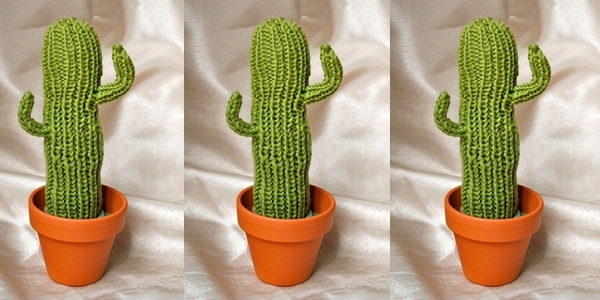 This cactus needs to be stabilized in the pot. I took some fabric that I had, and wrapped the base, and just set that in the pot. You could also glue it in. I tried using some fiber fill to raise it up a little bit (and no fabric) but I didn’t like how much of the fiber fill you could see. You could try using some sand or gravel, that would be more ‘desert-like’ for your cactus. I love your Seguaro. 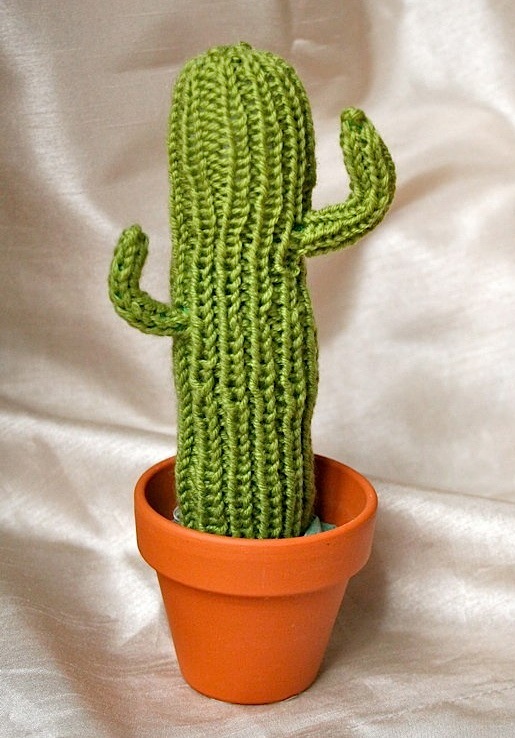 I haven’t knit up the pincushion cactus yet, now I am going to knit them both up. 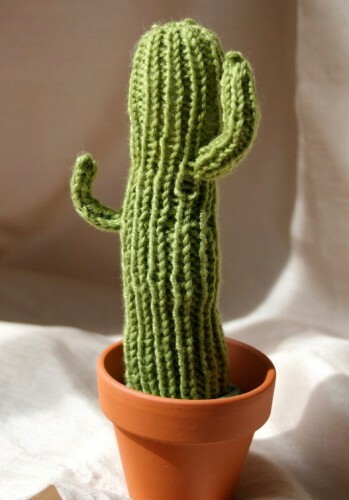 I have always liked cacti but i can’t seem to grow them. I have a green thumb with everything else. I want to put these on my kitchen window where my cat eats anything I put on it. Keep making the patterns and I’ll have a beautiful garden on my windowsill.